Lots of people are getting ready to wind down school for the summer. In our home we don’t take an official summer break, as we see learning as something to be enjoyed and developed year round. Part of our philosophy of a natural home education is to make the most of learning opportunities as they present themselves. And opportunities, you may have noticed, don’t hold to any imposed term-time structure! However, the other side to natural learning is igniting inspiration, which can be done in so many, many ways all year round. Whether your kids go to school or you home educate, whether you follow a timetable or are extreme unschoolers, here are ten ideas for inspiring and building upon natural learning opportunities this summer. Picnic with my best buddies in our local National Trust garden. National Trust day trips. 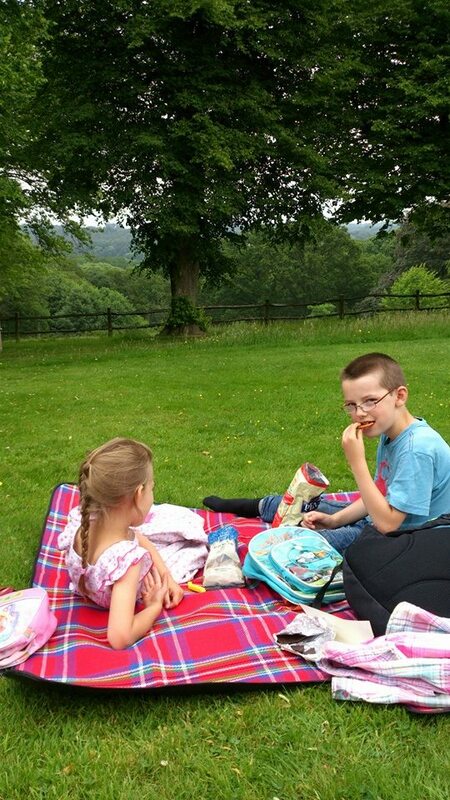 We are loving our National Trust membership, and often find ourselves just packing up our books, snacks, water and a picnic blanket to go and spend the morning in the beauty of our local gardens. In addition to the benefits of beautifully fresh air, the National Trust offers opportunities to explore historical homes and castles, activity trails, workshops, outdoor theatre and more. This summer we plan on going to ‘Honey weekend’, where beekeepers will be demonstrating honey extraction and talking about their work. This coincides with our recent interest in bees, and some lovely documentaries which have helped us appreciate honey bees more. Adult education. This may seem like a strange way of encouraging learning in children, but it actually fits beautifully. One of the philosophies of Leadership Education is that parents need to be setting the example of lifelong learning. This summer I have joined a free university course from Coursera, studying ‘Fundamentals of Music Theory’. This is something I genuinely want to know more about while I teach myself flute, but my second motive is the desire for my children to see me learning. And it really does inspire them! Sometimes they stop and watch my video lectures; sometimes they comment on snippets they hear which connect to things they have learnt themselves; sometimes they suddenly start playing instruments in duets or solos; and sometimes they pick up a music theory workbook themselves and work through it voluntarily. Make a video. Our cousins have recently been working on a really cool project: making a video on what they have learnt about plants. Inspired, Prince asked if he, too, could make a video about ‘something’. Yes! In this day of electronics it is very easy to introduce kids to movie making. Depending on your child’s age and abilities, this could mean anything from Mom recording Kid do a two-minute puppet show through to installing some video editing software and creating a full-scale documentary! This easy project could last from one day to the whole summer long, and is packed with learning opportunities of all kinds. How many different versions of Shakespeare’s plays can you read? Read at least one book a week. How many books on the Romans can you read? Write four book reviews: on a book you like, on a book you don’t like, on a fiction book, on a non-fiction book. Read one poetry book a week, and memorise your favourite poems. Educational games. Invest is some good quality educational games, and commit to playing them with your children. Perhaps you could start a weekly ‘Family Games Night’, or a ‘Games club’ with friends. You can find some of my recommended games here and here. Picnic & walk. Being outdoors in vital to health and beneficial to academic achievements. Kids and nature go together so well, and you will find it takes no effort to keep them entertained. Why not head out with a picnic and some friends to a field or woods. You can catch up with friends and your kids will pick up sticks, climb trees, inspect bugs, cloud watch, imagine they are dragons, hide in hedges, run till they drop and generally have FUN! 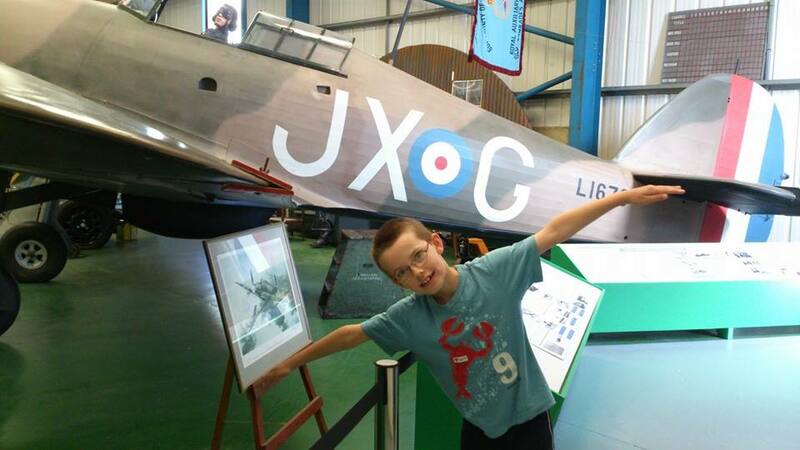 My Prince soaking up the inspiration at the Military Aviation Museum. Museums. Actually, unless you are a ‘schooler’, I don’t recommend you do this one in summer! Avoid the crowds and go term time – it’ll save your sanity. But if this is your only opportunity, museums are fantastic places for learning fun. It doesn’t have to be a big London museum (though these make wonderful days out). A quick Google search should reveal smaller museums all around you, some with local history and others with specific interests. Focus on a favourite topic. The summer is a great time for projects. Perhaps your kids are interested in farming. Use these weeks to visit a variety of local farms. Organise behind the scenes trips to a working farm. Watch documentaries on farming. Plant your own veggies. Make your own butter. Have farm-filled summer fun! Nature activities. There are all kinds of nature-based activities online. Although it takes some mental effort for us non-crafty types, kids LOVE making things like salt ice sculptures and land art. House project. Make this summer an ‘all hands on deck’ term. Maybe there’s a room you’ve always wanted to reorganise, an entrance you want to make more welcoming, a wall you want to paint or a bedroom you need to declutter. Take time to focus on one or two areas, and get the kids involved. Part of education involves learning to look after a home, and this kind of project teaches good stewardship and appreciation of space and beauty. It also has the potential to teach practical skills like painting, building and organising. Additionally, children love being a real part of the home, and involving them might be easier than trying to keep them out the way! This is just a small sample of how you could weave in some learning fun with your kids this summer. Do you have any other ideas? I’d love to hear them! I was scratching around my cupboards a while ago, trying to find something to scrape together for dinner. I knew it would probably be soup. We eat a lot of soup. Ask my kids. But soup is just one of my all-time favourite easy, healthy meals – just chuck whatever veggies you can find into a pot with some seasoning, blend together and VOILA! Easy,healthy deliciousness! Anyway, as I was throwing things in I realised that this particular soup might turn out to be something special, so I started jotting down approximate ingredients as I went, just in case (this made me feel very clever and organised – it was a nice feeling.) It turned out I was right – it was SO DELICIOUS that I knew I had to share it with you. As I never measure anything – and as individual tastes vary – make sure you taste and edit the soup as you go to suit your own family. Fry the onions and curry powder in a little oil (I use a high heat-tolerance oil like palm). Add the peppers, ginger and salt, and let them cook for a minute. Next, add the chopped tomatoes, water, lentils and garlic. Allow this to simmer for about 45 mins – until the lentils are cooked. Add the remaining ingredients, then blend together using a hand blender. Remember to do a taste test, and adjust accordingly. Serve and enjoy!